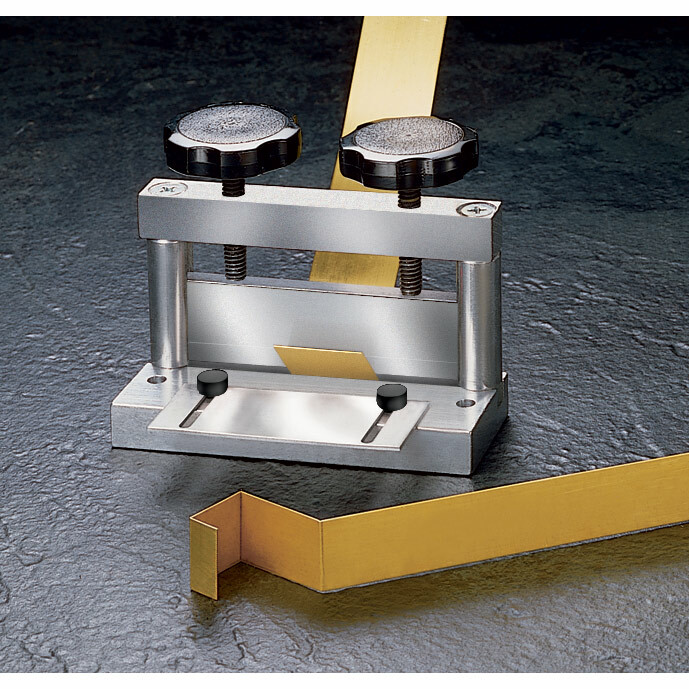 A press bending brake for brass or other light sheet metals. Makes bends up to 90 degrees (depending on how far you tighten the press screws). Will bend up to .020 inch half hard brass, 3 inches wide. Can also be used on plastic. Adjustable depth guide permits duplication of bend placement. Includes reversible steel die and instructions. A beautifully made tool. Overall size: 4 inches wide x 1-1/2 inches deep x 4 inches high.